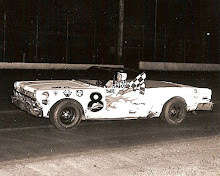 Cedar Rapids, IA – In the summer of 1994, two men got together and decided to organize a touring series for modifieds. Based out of Cedar Rapids, Iowa, the United States Modified Series (USMS) was created in late 1994. Co-founders Daniel Danielski and Doug Sheckler were no strangers to the racing game, having formerly worked for IMCA in Vinton, Iowa. Danielski was quick to point out that the USMS was a racing series, not a sanctioning body. Because of that, any modified from any sanctioning body including IMCA, Wissota, UMP and NASCAR, were eligible to compete. Most of the events were scheduled for the central part of the country, including Iowa, Minnesota, Illinois, Texas, Arkansas, Oklahoma, and Kansas. Danielski hoped to branch out as the series became more established. Encouraged by their early success, Danielski and Sheckler mapped out a 19-race schedule for the 1995 season and also announced a special year-end event with a bigger than usual purse for September. It was determined that Burlington, Iowa would be the sight of that event. The race seemed to hit a snag before it was even run. As it turned out, the event was scheduled the same weekend as another big race for modifieds, the IMCA Super Nationals in Boone, Iowa. While some made a big deal out of it, Sheckler didn’t see a conflict. With that said, the first annual River City Supernationals became a reality on September 10-11, 1995. When the USMS drivers pulled into Burlington, Iowa, the series had shown a competitive balance, with 10 different drivers having won a USMS “A” main out of the 13 total events run. The top prize ($10,000) was the largest payoff on the USMS circuit in its inaugural season. Only the top four drivers in the point standings, Kelly Shryock of Story City, Iowa, Mike Chasteen of Peoria, Ill., John Allen of Chanute, Kan. and Klint Pursley of Locust Grove, Okla., had won more than $10,000 for the ENTIRE season. With a total two-day purse of over $35,000, 102 drivers from 10 different states showed up for the weekend. The River City Supernationals was already a success and the first green flag had not been waved yet. In addition to some of the top modified hot shoes in attendance, it was also able to lure some top drivers from other divisions of racing. Guss, the veteran driver from Milan, Ill., got past Ryan Dolan, then overtook Ron Jones and then held off both through lapped traffic the rest of the way to claim the $10,000 winner's check. Guss started the modified feature on the inside of the fourth row. But he didn't stay there for long. Guss put his plan into action from the start. 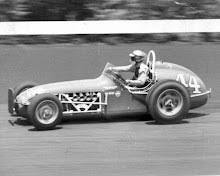 While most of the drivers stayed toward the top of the track, Guss saw the opening and went to the bottom. By the end of the first lap, Guss had moved up to fourth. Guss stayed on the bottom to get around Ryan Dolan on lap five, and then set his sights on race leader Ron Jones. Jones held off Guss for 22 laps before Guss made his move. Guss suddenly went to the high side in turns three and four of lap 23 to get past Jones, who got caught behind a lapped car. That was the only break Guss would need on this cool fall night. Once in the lead, the veteran knew what to do. He maneuvered his car through lapped traffic to get as many cars between himself and Jones as possible. Jones and Dolan each gave chase, waiting for Guss to make a mistake. Guss pulled away in the final laps for the victory. Dolan got by Jones on lap 43 to finish second and take home $5,000. But the night, and the big paycheck, belonged to Guss. The whole weekend turned out to be extremely popular with both the drivers and the fans. Impressed with the numbers from the pits and the grandstands, it was deemed a successful venture for Danielski and Scheckler and plans for the second annual River City Supernationals were already being laid out for 1996. When the River City Supernationals rolled around the next year, September 7-8, over 150 modifieds were expected to compete for the $12,000 first place prize out of a whopping $35,000 purse. Word had gotten out about this big-paying modified show and it was not only drawing interest on the local level, but on the national stage as well. Both The Nashville Network and ESPN were on hand for the weekend, taping highlights of the race and the event. Back was the defending champion, Ray Guss, Jr., as was runner-up Ryan Dolan. Ron Jones of Elk River, Minn., winner of three USMS features in the series’ second season was also on hand. 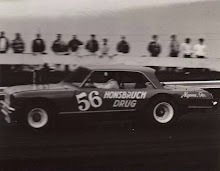 Kelly Shryock, the current USMS point’s leader, was there as was 34 Raceway’s modified track champion, Bill Roberts. 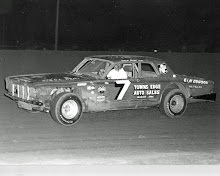 Other drivers of note entered that year were John Allen, Clint Homan, and John Bull, Jim Sandusky, Scott Boles, Dean McGee, Darrell McGee, Bruce Hanford, Thad Wilson, Jim Roach and Lynn Monroe. 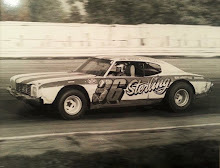 Another late model pilot, Rob Toland, the three-time defending track champion at 34 Raceway, was giving it the old college try. For Ryan Dolan, he was a year older and a year wiser. And when the checkers waved on the championship feature on Saturday night, Dolan was $12,000 richer. Dolan, who watched Guss pass him and go on to win the inaugural Supernationals, had set his sights on returning to Burlington with one goal in mind; winning the 50-lap feature and collecting the winner's check. Dolan earned the pole position on Friday night, thus avoiding the heat races and qualifying races on Saturday. Dolan took advantage of his starting position, leading the last 42 laps to capture the win. Ron Jones would finish second while late model ace Joe Kosiski of Omaha, Neb., was third. Guss would experience problems with his car and was never a factor. Mike Karhoff of Quincy, Ill., started the feature alongside Dolan in the front row. Karhoff squeezed between Dolan and Davenport’s Bruce Hanford on the start and quickly grabbed the early lead with Hanford taking second from Dolan. Karhoff held the lead through an early caution, as Dolan got around Hanford for second after the restart. Jones, meanwhile, also got past Hanford two laps later and closed in on Dolan for second. Dolan made his move two laps later, going to the high side of the track to get around Karhoff in turn two for the lead. Karhoff and Jones battled for second while Dolan continued to work the cushion to his advantage. Dolan worked his way through lapped traffic as Jones followed with Kosiski working his way into third. But Dolan proved to have too much for Jones and Kosiski on this night. Dolan maneuvered through traffic, working the high side and holding on for the win. The River City Supernationals would be short-lived, however, as ’95 and ’96 would be the only two years the blockbuster event was run. A year later, Danielski and Scheckler would sell the series to another former IMCA official, Todd Staley of Webster City, Iowa. Staley would add a “T” to the series name, make it one the most successful racing series in the nation and moved the grand year-end event to Deer Creek Speedway in Spring Valley, Minn. This year, 2015, will mark the 17th season for the Featherlite Fall Jamboree.